For many years, various editions of Smallman's Modern Physical Metallurgy have served throughout the world as a standard undergraduate textbook on metals and alloys. 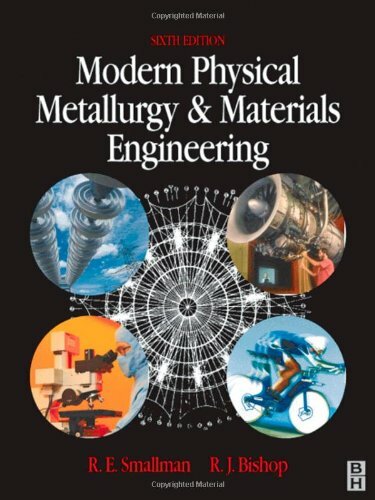 In 1995, it was rewritten and enlarged to encompass the related subject of materials science and engineering and appeared under the title Metals & Materials: Science, Processes, Applications offering a comprehensive amount of a much wider range of engineering materials. Coverage ranged from pure elements to superalloys, from glasses to engineering ceramics, and from everyday plastics to in situ composites, Amongst other favourable reviews, Professor Bhadeshia of Cambridge University commented: "Given the amount of work that has obviously gone into this book and its extensive comments, it is very attractively priced. It is an excellent book to be recommend strongly for purchase by undergraduates in materials-related subjects, who should benefit greatly by owning a text containing so much knowledge." جميع الأوقات بتوقيت جرينتش+4. هذه الصفحة أنشئت 08:19 AM.